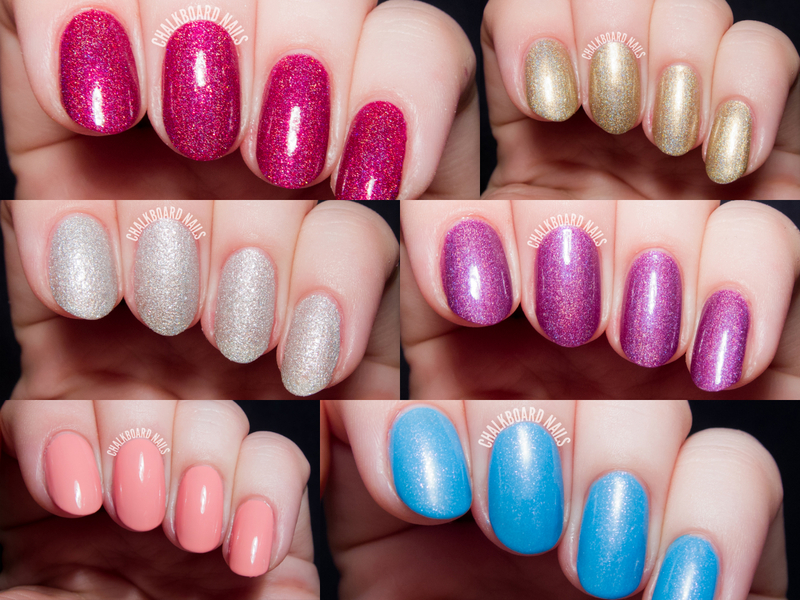 If you're a part of the nail polish community, no doubt you've heard and seen all of the hype around the I Love Nail Polish Ultra Chrome Flakies collection! Not only are these polishes stunning, but they come in a wide range of colors to satisfy all of your flakie needs. All swatches show one coat of the flakie over a black base. Be sure to look towards the edges of my nails to check out some of the more dramatic color shifts, as I've shot my nails at an angle to show as much of the multichromatic effect in one photo as possible. I've also tried to arrange my pictures in color order, so you can easily compare some of the more similar shades. Happy viewing! Serum No. 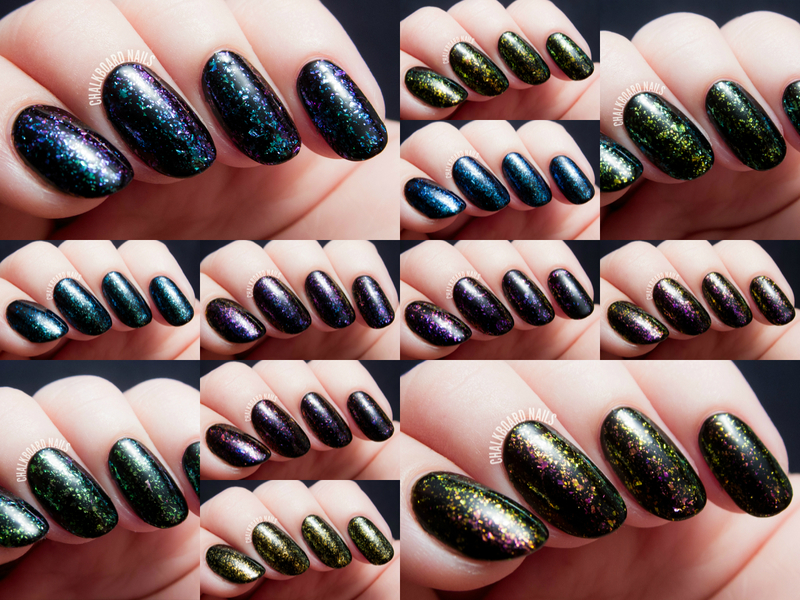 5, a brand known for their glow in the dark shades, released a large lineup of polishes this fall. I've got swatches to share with you today, including glitters, holographics, shimmers, and of course, their signature glows. 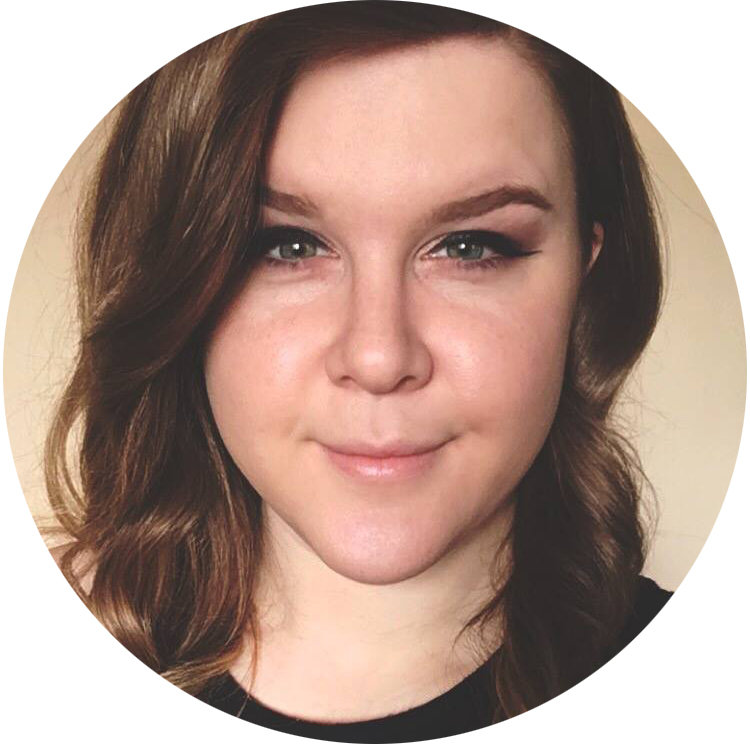 I've also got a quick personal update at the end of this post, for any of you that are curious about what I've been up to lately. I'm obsessed with this "women in politics" nail art by Nails By Mei. During our last #NailGlossip Twitter chat, someone linked to this Audi brand nail polish! Who knew such a thing existed? Pantone announced their Color of the Year for 2015! Meet Marsala. Truthfully, I wasn't thrilled with the selection at first, but it's really grown on me. I think it's a really luxe-yet-approachable shade. I wore it recently in Bio Seaweed Gel's Sienna. This week, I wrapped up the Neiru fine lines workshop! I had a blast learning more about gel nail art. Check out my first, second, and third sets from the lessons. I was browsing Sephora recently and noticed that a good selection of their awesome matte glitter toppers are on sale! Happy shopping! Jacki's gingerbread house nail art is just... I can't even. It's so cute. Did you catch the final episode of Nail'd It? Well, we have a winner! Congratulations to all of the finalists and competitors in the show! 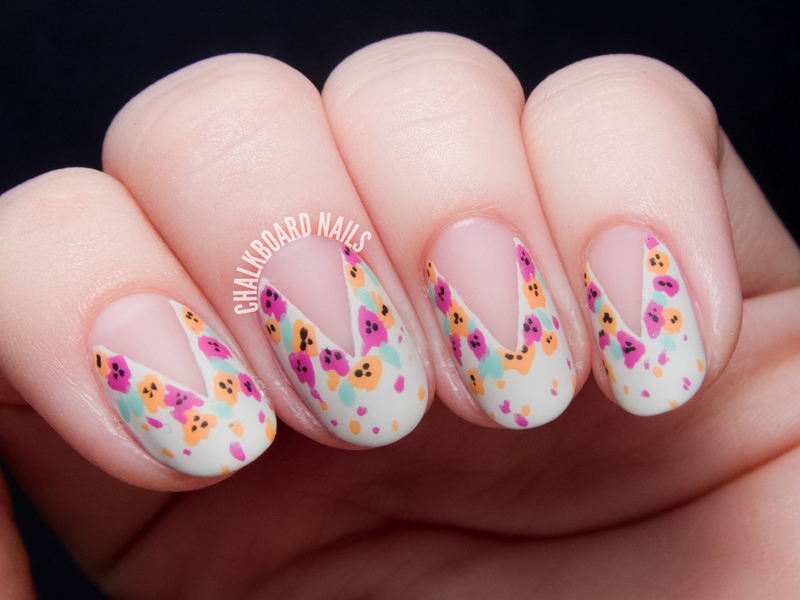 TUTORIAL: Easy Splattered Floral Nail Art, Inspired by Nail'd It! Tonight is the season finale of Oxygen's Nail'd It!, and I, for one, couldn't be more excited to see who takes home the $100,000 prize. THE SUSPENSE! As a part of their final challenge, the competitors are asked to create nail art inspired by their signature look and artistic point of view. Today, I've got a tutorial for you that includes a taste of my artistic point of view! It includes lots of my favorite design elements, so let's take a look and go on a learning journey together. P.S. In case you missed my television debut on the show three weeks ago, I'm making my triumphant return on tonight's episode to share a quick, 30 second glitter gradient tutorial! Let's face it... We don't need an excuse to deck out our nails with gorgeous shimmers, glitters, holographics, and textures. However, why not celebrate the season with luxurious lacquers and fantastic formulas from Girly Bits? Let's take a look at a few of the shades I've tried recently! Today is my birthday, and if you can believe it, my nails are actually naked right now! THE HORROR! I'm hoping to put something fun on them after I get home from work, but for now, I wanted to share a manicure I spent a lot of time on recently. I am calling it wasabi and caviar for reasons that I hope are obvious! 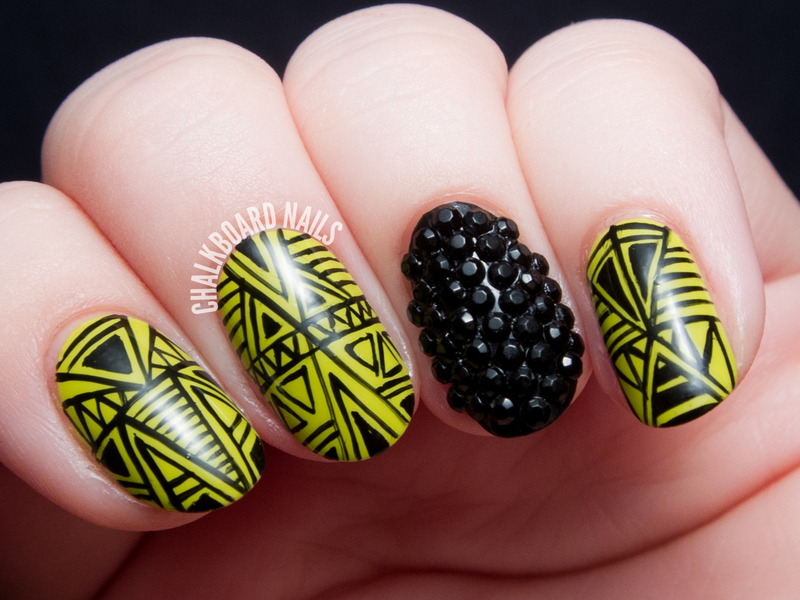 This entire design is handpainted with regular nail polish. It's some of my best linework to date, I think. Hooray for improvement there! Deborah Lippmann has been a busy gal this holiday season! 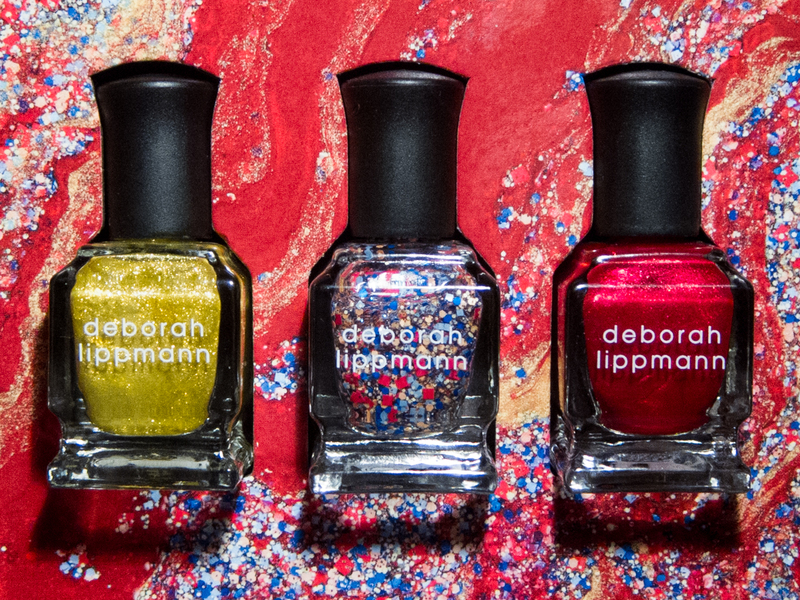 There are lots of great mini lacquer sets available from the brand right now, and one of them is the Celebration Nail Lacquer Trio, made for Deb's 15th anniversary. The three polishes come in a nice gift box with an artistic marbled background featuring the shades in the set.